A new week has come, time for the new weekly Superstar gift. 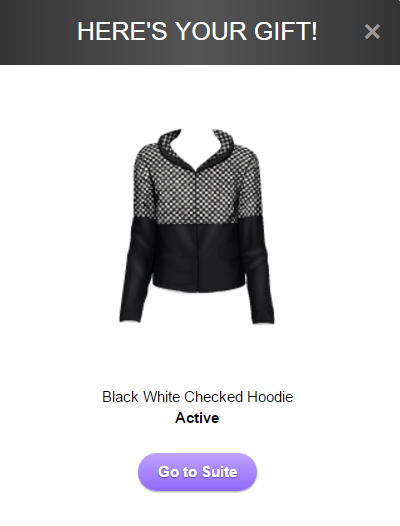 And this week it is Active White Checked Hoodie. It's a nice gift for sure. I can't remember how much exactly it was in Starplaza, but with the prices these days, I assume it would've been quite a bit. But anyway, here's a nice gift for ya'll, so get your one today while stocks last.